It was taken by Juan Guzman. Actually Hans Gutmann. Another example that shows how spanish people have had the tendency to translate everything and not to be open minded to other cultures, names and ways of thinking. Let's hope to see a free Catalonia soon. What? Actualy he himself adopted that name after he arrive to Barcelona and begin to actively participate in the fight against fascism in catalonia and spain. Daniel,Please do not twist the facts to accomodate your ideals. Please do not spread fake visions, there is people who will even believe you. Hans Guttman decided to become a spanish citizen and changed his name. He did. He was in love with Spain and Mexico and he willingly did so.He signed his photographs as Juan Guzman. Pretty sure this wasn't taken from Hotel Colon. Anyone concur? Simply too far from Cathedral. At the time, Hotel Colon was at Plaza Catalunya :) and the headquarters of the PSUC. It was destroyed by the franquist regime later during the 40s. commie pos. Thank god for Franco. 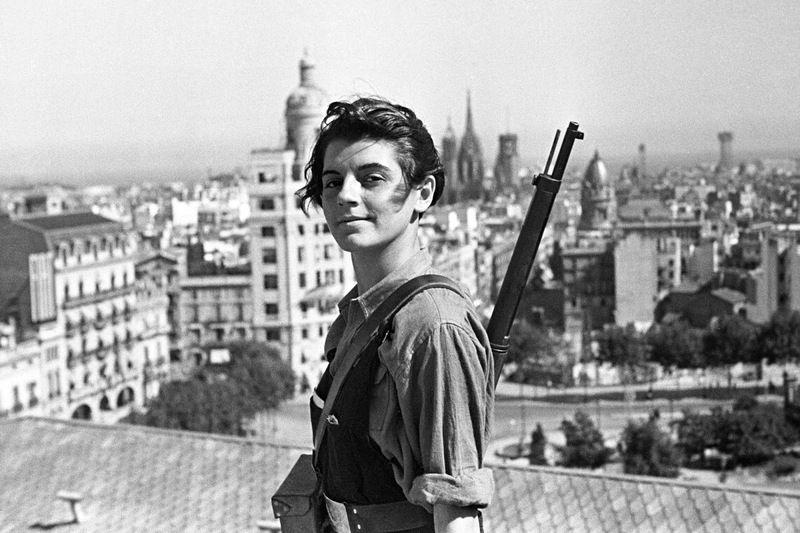 I love the photo of the young teen Socialist fighter. She makes me feel great pride. I would love to have been able to assist the republican Govt in 1936. 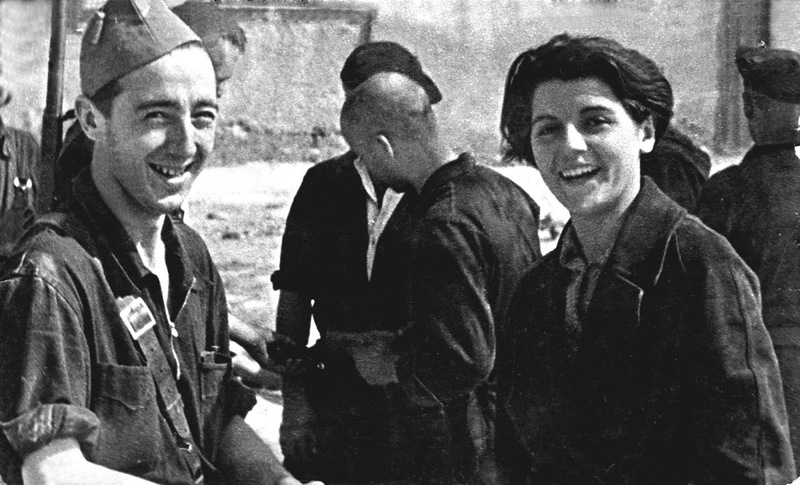 I recommend "Tierra y Liberdad" a movie by Ken Loach on the Spanish Civil War. A craven betrayal of democracy by the West and a taste of things to come..